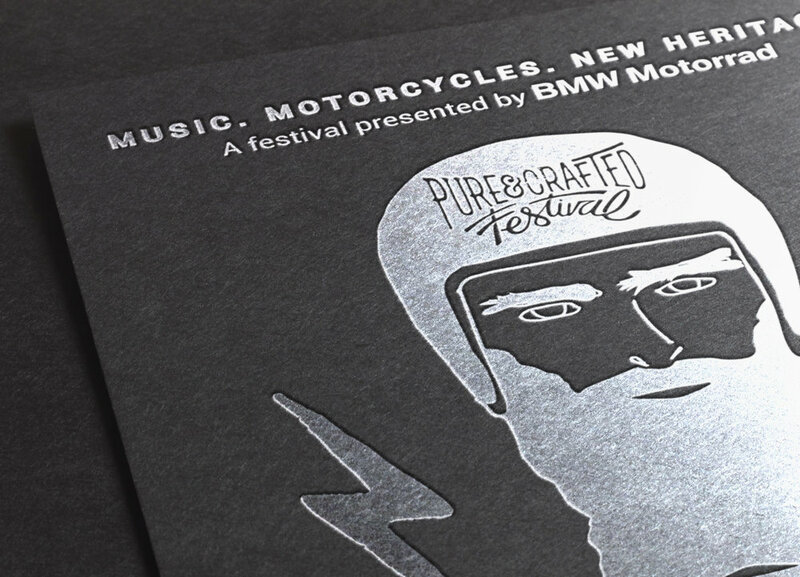 Concept and Design of a new music, motorbikes and new heritage festival. 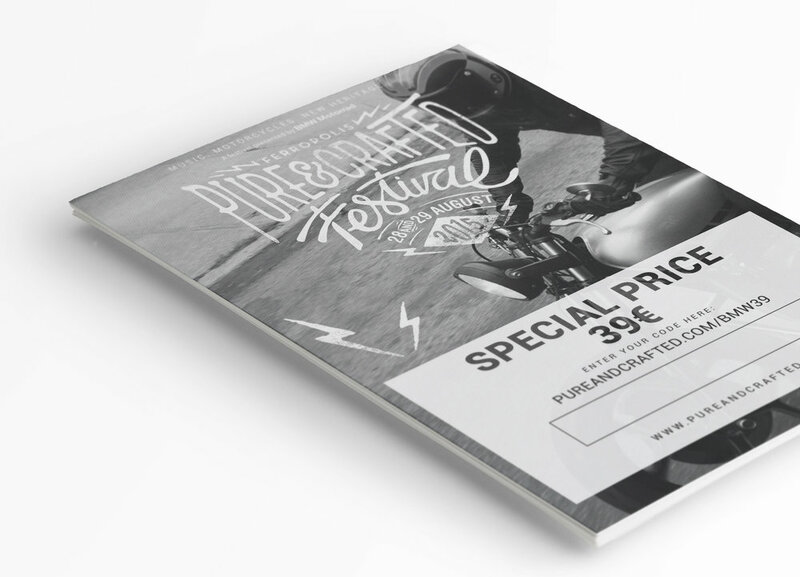 Pureness and high quality where it`s needed, handmade and crafted where it`s desirable. I worked closeLY with the event Agency Gemeinsame Sache, and for the logo in collaboration with Illustrator Àlex Ramon Mas.